Eggshell paint has a slight sheen and has many recommended uses, but painting ceilings is not among them. Gloss, or sheen, is obtained by adding resin to paint. Eggshell paint usually has 10 to 25 percent gloss, although some manufacturers market eggshell paint with 26 to 40 percent gloss. 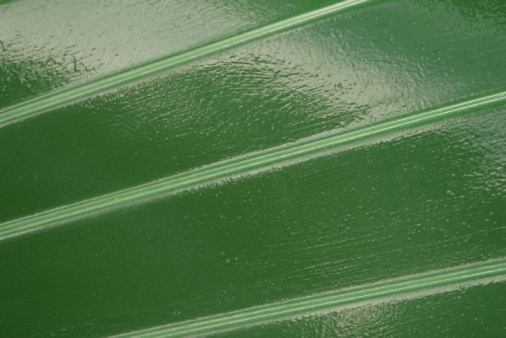 Flat paint has a chalky, matte finish that does not reflect light and is used to cover ceilings, among other uses. Flat paint has 0 to 5 percent gloss. Flat paint is usually recommended for ceilings. Eggshell has a slight gloss or sheen.There is no standard for the amount of sheen in paints, so the reflection of eggshell paint varies by manufacturer. You usually cannot see eggshell gloss if you look at it straight on, but you can if you view it at an angle. A slight gloss helps eggshell paint resist dirt, making it easier to wash than flat paint. It looks fresh after you wash it. Paint eggshell on the walls of rooms and areas that see a lot of use and that you might need to clean occasionally. Since eggshell paint reflects light, you would not ordinarily use it on ceilings. Good choices for eggshell paint are kitchens, pantries, casual dining areas, recreation rooms and children's bedrooms. Eggshell paint is good for front doors and window sills, although gloss or semi-gloss might be better. Some versions of eggshell are formulated for house exteriors. Flat paint looks like unglazed tile. Since it does not reflect light, it is good for covering rough walls and for hiding surface bumps, blemishes, dings, nicks, scrapes and scratches. Contractors use it to cover nail holes and patched areas. If you have to touch up a painted area, flat paint blends in so you can't notice the new paint. The drawback to flat paint is that it collects more dirt than eggshell or other paint with a slight gloss. It is also harder to clean than eggshell paint. Use flat paint on formal dining rooms, master bedrooms and other areas that you do not anticipate having to clean. 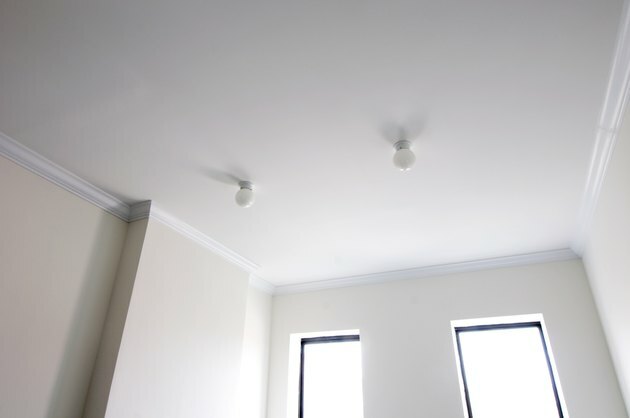 Flat paint reduces light glare, making it good for ceilings. Flat paint will not withstand extreme heat or rain, so do not use flat paint on the outside of your house. Can Kitchen Walls Be Painted With a Flat Paint?